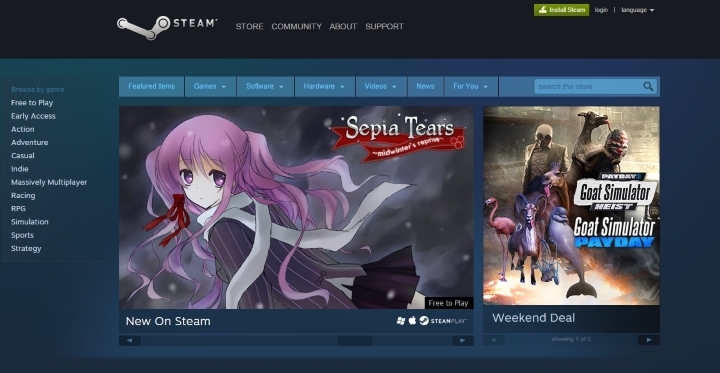 Steam, Valve’s digital distribution platform for PC video games, is no doubt a huge success. And it’s big summer and winter sales are massively popular, even if they have not always been that great. And surely part of what drew gamers to the big event that the Steam sales are were the daily and flash sales. The daily sales showcased a series of games on the store’s front page for a period of 48 hours, games that were offered at an even bigger discount than that offered throughout the full sales period. So was the case with the so called “flash sales”, which typically ran for 8 hours and also offered massive discounts. For instance, games like the great 2014 Shadow Warrior reboot even had 90 % discount during the daily and flash sales, which added a “bargain hunting” aspect to the big summer and winter sales and were clearly an engaging pastime for some, although those who simply couldn’t spare the time to follow the sale each day could have felt cheated if they missed a daily or flash sale and ended up buying a game at a higher, albeit still discounted, price. And while upset gamers could have been tempted to request a refund and wait for a bigger bargain, the simple fact is that Steam’s past refund policy was something of a hit and miss affair, with most games being effectively non-refundable. 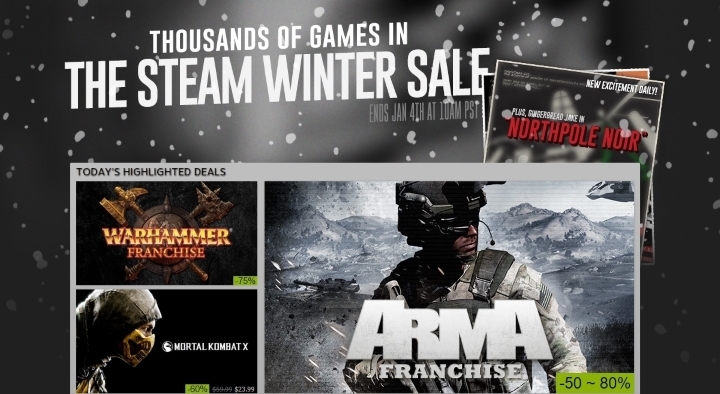 The 2015 Steam Winter Sale was a big hit, even without daily and flash sales. But given how massive and notorious the Steam platform had become, American company Valve eventually bowed to pressure from the likes of the Australian Competition and Consumer Commission and the European Union, and finally allowed full video game digital refunds on Steam. So users could request a refund for any video game that they had purchased on Steam, if they had played it for less than 2 hours or owned it for less than two weeks. And Steam’s new refund policy was certainly a godsend for those who purchased the likes of Batman: Arkham Knight on PC last June, as that game had one of the worst launches in history, being essentially broken on release for many gamers. And now that Valve had added a fully-fledged refund policy to Steam in June 2015, the question was, what effect would this have on the online store’s legendary summer and winter sales? One obvious and clear consequence was: no more daily or flash sales. Given that users could just request a refund if they bought a game during the summer or winter sale but saw it going for less during a flash or daily sale, the “sale within a sale” that the daily and flash sales were effectively became redundant. In the end though, despite Valve shunning tradition and dropping the daily and flash sales, the Steam Winter Sale 2015 was still a resounding success. Because according to a memo sent to developers by Valve the sale was a big hit, with the company even suggesting that the daily and flash sales were more of a hindrance than a help for customers, stating that “this new format would be a better way to serve customers that may only be able to visit Steam once or twice during the 13-day event… while having confidence that any game being highlighted would be at its lowest discount”. Gamers were also more active in the 2015 winter sale than in previous editions, with user’s additions to their wishlists, which allows them to keep track of games they are interested in, up 200 % during the sale. And more evidence of gamer’s thirst for digital games is the fact that even games outside the top 500 got an increase in page traffic according to Valve, proving that with or without the traditional daily and flash sales, Steam is still a force to be reckoned with and one of the biggest successes of the PC world.